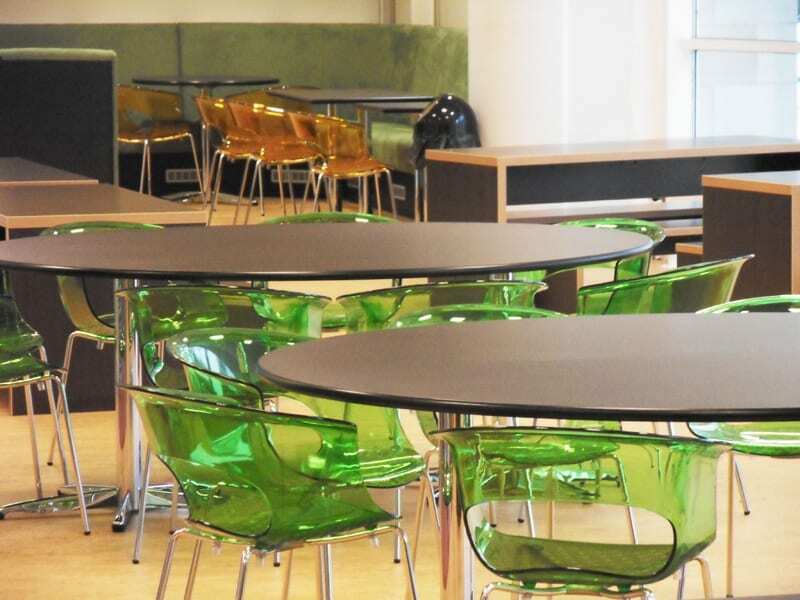 The students using the cafe tend to congregate in large social groups often sitting directly on the tables – Space Furniture’s Tokyo matching tables and benches were perfect for the job, Two large feature elliptical tables were used in the centre of the room to provide a visual balance to the benches, complimented by translucent green Miss B stacking armchairs for a striking accent colour. 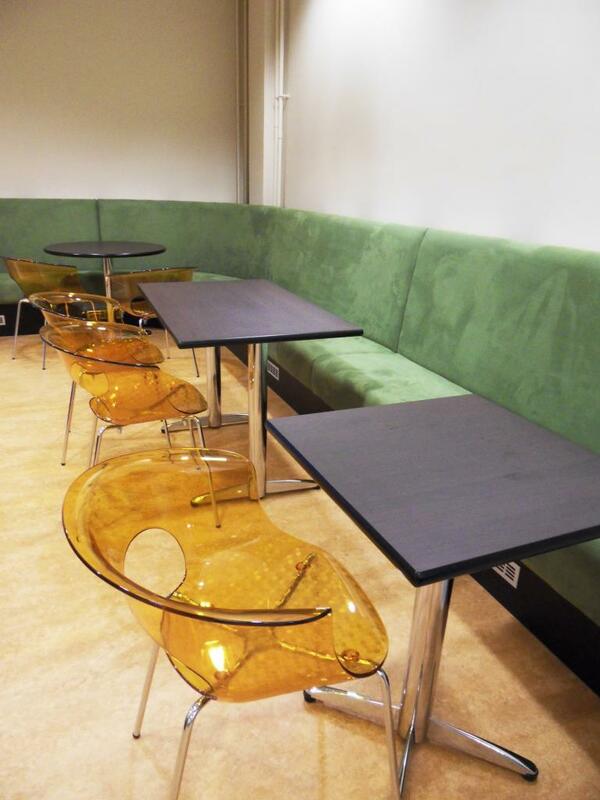 Bespoke bench seating was designed in a specific curve shape to not only provide practical soft seating but divide the room for a calmer more relaxing area. Upholstered in pale green faux suede and polished in Wenge – fitted skillfully around the air inlet and convection outlet grills for maximum heating efficiency. 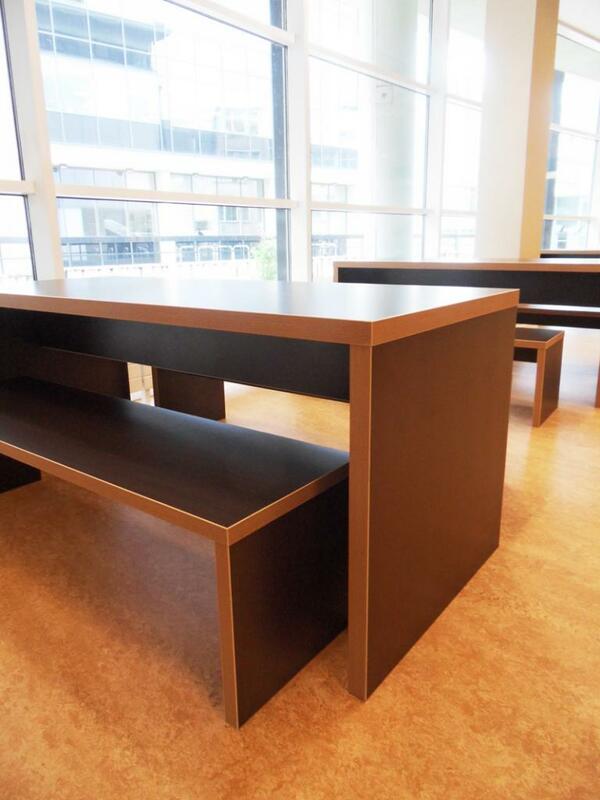 Relaxed informal benches enabling students to socialise in large groups when desired. Up to date high-street image competes with corporate restaurants and coffee shops. Versatile and strikingly colourful chairs for years of durable use. 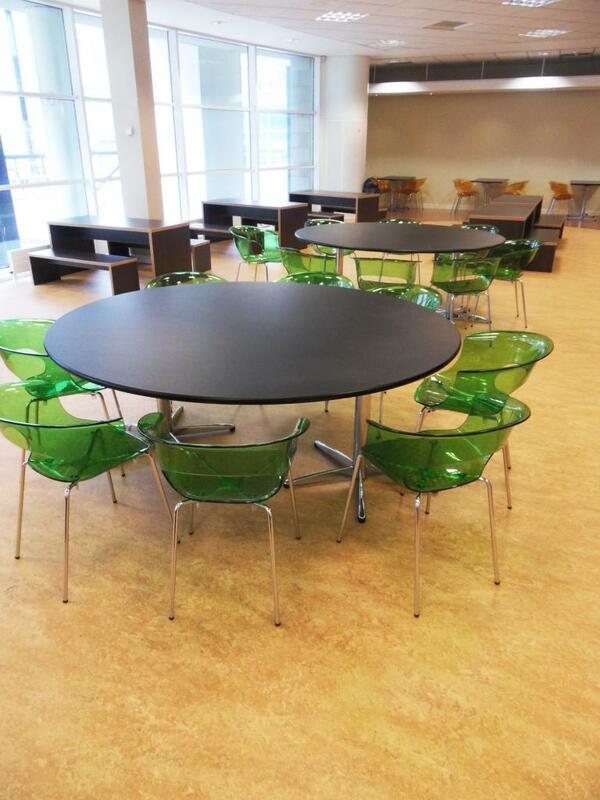 Large feature eliptical tables to form balance between bench and soft seating. Stylish Italian lighting to add to the intimate and relaxed feel.